NATIONAL badminton legend Datuk Lee Chong Wei has made Malaysia proud with his achievements on the international badminton courts. He is currently ranked No.1 in the Badminton World Federation (BWF) ranking for men’s singles, has won the silver medal for three consecutive Olympic Games for the sport and also captured the All England title for the fourth time this year. The story of his meteoric rise from bench warmer to world’s top badminton men’s singles player will be soon be depicted in the two-hour film, Rise of the Legend, produced by CB Pictures in association with Mahu Pictures. 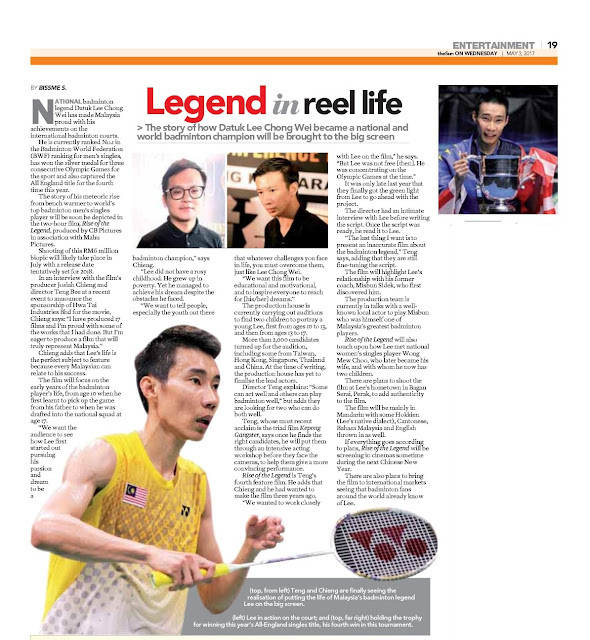 Chieng adds that Lee’s life is the perfect subject to feature because every Malaysian can relate to his success. The film will focus on the early years of the badminton player’s life, from age 10 when he first learnt to pick up the game from his father to when he was drafted into the national squad at age 17. 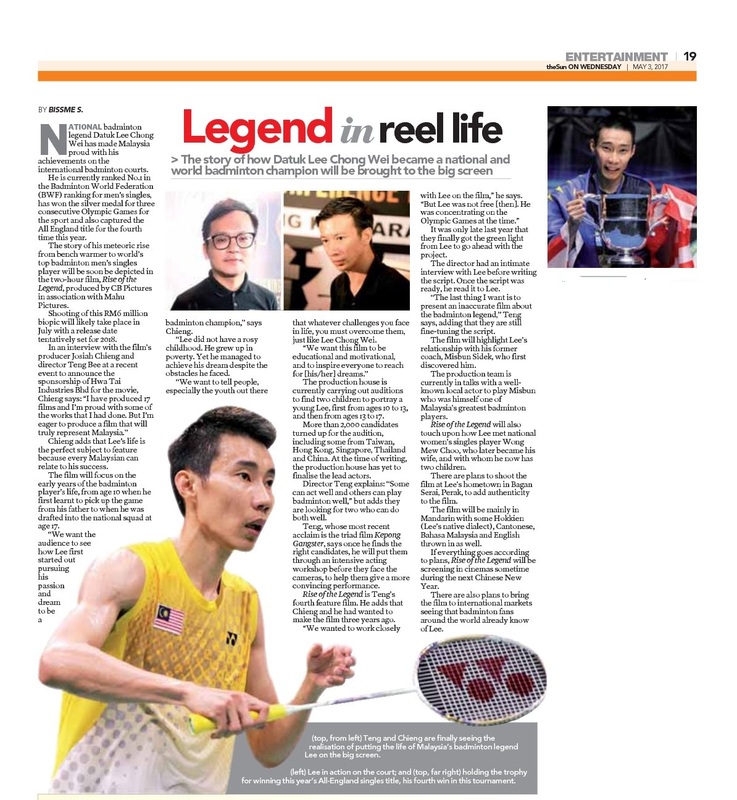 “We want the audience to see how Lee first started out pursuing his passion and dream to be a badminton champion,” says Chieng. “Lee did not have a rosy childhood. He grew up in poverty. Yet he managed to achieve his dream despite the obstacles he faced. “We want to tell people, especially the youth out there that whatever challenges you face in life, you must overcome them, just like Lee Chong Wei. The production house is currently carrying out auditions to find two children to portray a young Lee, first from ages 10 to 13, and then from ages 13 to 17. More than 2,000 candidates turned up for the audition, including some from Taiwan, Hong Kong, Singapore, Thailand and China. At the time of writing, the production house has yet to finalise the lead actors. Director Teng explains: “Some can act well and others can play badminton well,” but adds they are looking for two who can do both well. Teng, whose most recent acclaim is the triad film Kepong Gangster, says once he finds the right candidates, he will put them through an intensive acting workshop before they face the cameras, to help them give a more convincing performance. Rise of the Legend is Teng’s fourth feature film. He adds that Chieng and he had wanted to make the film three years ago. “We wanted to work closely with Lee on the film,” he says. It was only late last year that they finally got the green light from Lee to go ahead with the project. The director had an intimate interview with Lee before writing the script. Once the script was ready, he read it to Lee. “The last thing I want is to present an inaccurate film about the badminton legend,” Teng says, adding that they are still fine-tuning the script. 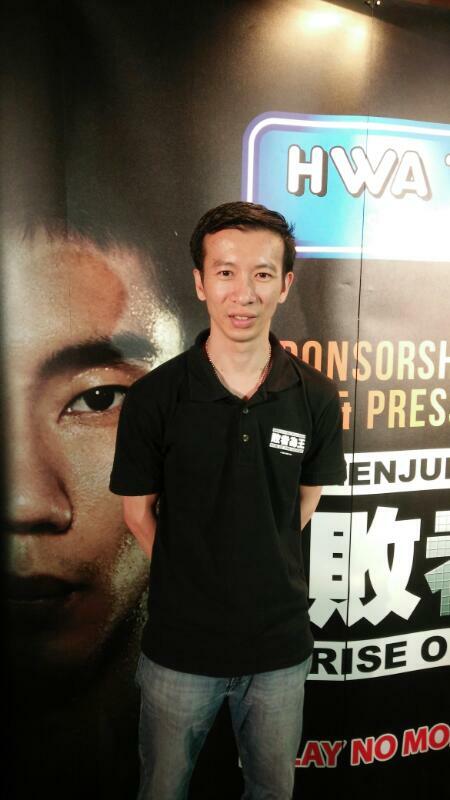 The film will highlight Lee’s relationship with his former coach, Misbun Sidek, who first discovered him. The production team is currently in talks with a well known local actor to play Misbun who was himself one of Malaysia’s greatest badminton players. Rise of the Legend will also touch upon how Lee met national women’s singles player Wong Mew Choo, who later became his wife, and with whom he now has two children. There are plans to shoot the film at Lee’s hometown in Bagan Serai, Perak, to add authenticity to the film. The film will be mainly in Mandarin with some Hokkien (Lee’s native dialect), Cantonese, Bahasa Malaysia and English thrown in as well. If everything goes according to plans, Rise of the Legend will be screening in cinemas sometime during the next Chinese New Year. There are also plans to bring the film to international markets seeing that badminton fans around the world already know of Lee.